Often, you don’t realize what you have because of Christ. Through faith in him, you not only receive eternal life, but you have what you need for the here and now. 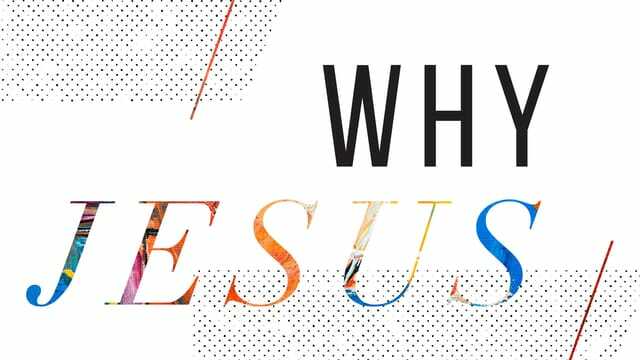 Join us for the series, Why Jesus. Let's discover why Jesus is enough. http://www.theridge.church/feedwv This Sunday through March 31—The Ridge is partnering with Mountaineer Food Bank and Christian Help to be a part of the solution to hunger, and to Feed WV. Bring your non-perishable food donations to the church from March 10th through 31st. All donations will be distributed statewide to those in need. This Sunday, pick up paper bags to fill with your donations! To find out more, visit us online. http://www.theridge.church/startingpoint This Sunday, March 17—You can find out more about joining a Starting Point group at a Starting Point Orientation. This is where we share a bit about what Starting Point is, what to expect, and we’ll answer any questions you might have. You will then be able to decide if Starting Point is right for you. Join us in the conference room after the 9am and 11am services! http://www.theridge.church/dodgeballdonuts Students in 6th-12th grade are invited to the gym between the 9am and 11am services next Sunday to play dodgeball, and enjoy delicious donuts! Parents are welcome, too! You’ll get to mingle with staff, small group leaders, and other parents. Problem: We have trouble getting along with those with whom we disagree. Solution: Choose the path of peace. People are more important than perspectives. Today's Takeaway: Pursue the path of peace. • Because of Christ, we are able to see people differently. • Because of Christ, we are able to love people differently. • Because of Christ, we are able to treat people differently.